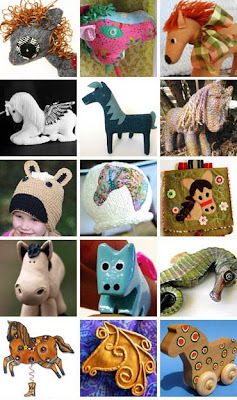 You can see Gallop over on the Found Handmade blog today with lots of other cute horsies! He's very happy to be surrounded by such great company. wow, he really pops on that page. first place my eyes went to.